BlackBerry, once a leading Smartphone company, is fighting to remain afloat. The recently announced BlackBerry’s Q4 2016 fiscal results show that the company had to face a loss of $238 million due to less than average sales of their first Android phone – the Priv. The company was able to sell only 600,000 phone units in the last financial quarter which was less than 700,000 units sold in the previous quarter. This generally means the company is no more a recognizable force in the smart phone market. One of the reasons for this decline in performance is the highly anticipated BlackBerry Priv’s failure to make a mark in the market. Despite the late entry into the Android ecosystem, the company had hoped the Priv, which is also the company’s first Android phone, will set the cash registers ringing. But that has not happened and it is clearly evident that BlackBerry is struggling due to the mediocre reception of BlackBerry Priv. Despite the initial burst of sales, BlackBerry fans did not line up to purchase the highly anticipated BlackBerry Priv. One of the biggest mistakes committed by BlackBerry was it failed to recognize the fundamental realities of the Smartphone industry. It failed to recognize the meteoric rise of touchscreen UI and subsequent powerful growth of Android and iPhone app’s ecosystem. This has lead to a decline of yearly sales by 54%. What Went Wrong with BlackBerry Priv? Another reason behind BlackBerry’s failure in reaching the target sales number was that the Priv was wrongly marketed. The phone was targeted towards the high end privacy needs of the corporate sector and professionals who were increasingly concerned about privacy and security risks. The target market selected by BlackBerry was very small and could have done little to boost the company’s already fading fortunes. Ever since the news about device had started trickling in, many experts had said the Priv would be a make or break device for the company. This seems to be true after looking at the sales of last fiscal quarter. 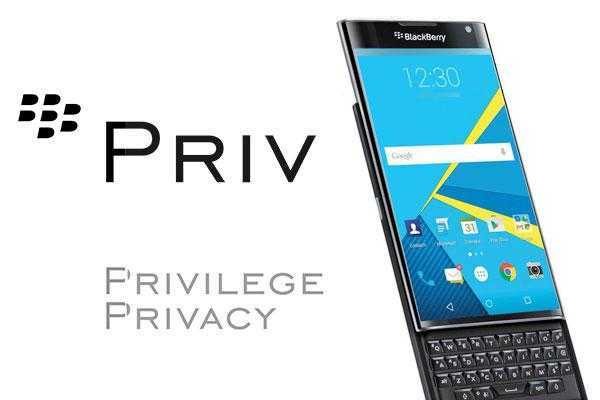 Before the launch of Priv, Tyler Shields an analyst at Forrester, Inc had stated that the Priv is clearly not a device for the average Android user. The price factor of $600+ makes it unsuitable for the mid-range device market. The phone will not able to withstand the competition given by comparable handsets that belonged to the lower price category, but may offer several technical advantages to the users, added the analyst. Despite the lackluster financial performance in the last quarter, the company has not given up on the hardware business. John Chen, CEO of BlackBerry has hinted that the company might launch an Android phone for the mid range section to appeal more customers. Till then, the company is happy about the strong performance of software sales, which has garnered around $527 million during the fourth quarter of 2016. The company hopes the phone sales might pickup and it has already announced rollout of Android Marshmallow for the Priv during this spring.